WSIU's Jennifer Fuller visits Touch of Nature to talk with Pat Jones and Cassie Roy about 2019 Summer Camps. WSIU's Jennifer Fuller talks with SIUC Interim Chancellor John Dunn, as the school forwards more program changes as a part of a proposed reorganization plan. In addition, Dunn describes enrollment projections for the 2019-2020 academic year. WSIU's Jennifer Fuller talks with SIUC Faculty Association President Dave Johnson about the union's upcoming meeting about proposed reorganization plans at the university. The Sigma Alpha Iota fraternity at SIU Carbondale is organizing an instrument drive to collect, not only instruments, but music supplies. The collection will run through May 5th. Friday morning, alumni and their families, along with Southern Illinois University Carbondale adminstration, staff, faculty, and students, gathered around Shryock Auditorium to celebrate the alumni Facebook group, "Carbondale in the 80's and 90's," for giving the most gifts for an non-academic unit and endowing two new scholarships. 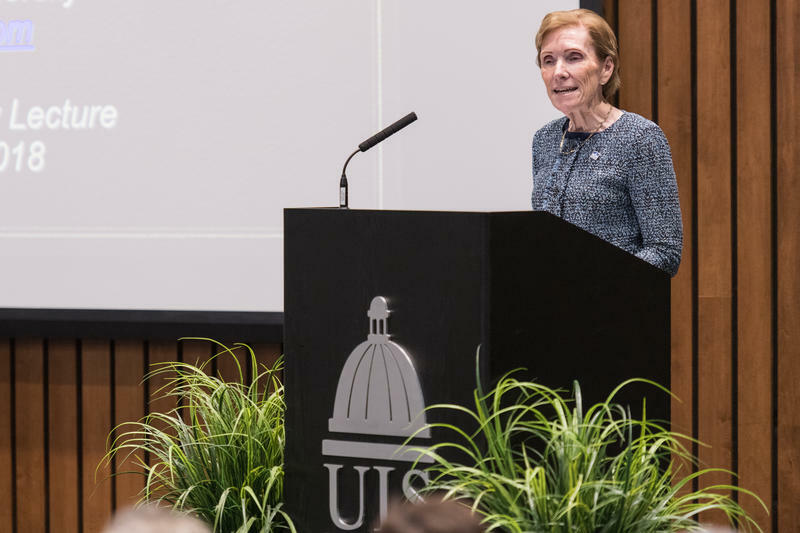 New hiring rules, guidelines for a Presidential search, and a spirit of collaboration highlighted Southern Illinois University’s Board of Trustees meeting in Springfield this week. The Chair of SIU's Board of Trustees says a new day is dawning for the university. WSIU's Jennifer Fuller reports. As Illinois lawmakers begin work on a state budget for next year, SIU leaders are hopeful a spirit of greater cooperation and synergy will lead to a boost in funding. WSIU's Jennifer Fuller talks with Rosanne Szekely of SIUC's Radiologic Sciences program about her upcoming Science Cafe, focusing on X-Ray screeners and other security scans. SIU's new trustees began their two-day meeting Wednesday by sending a strong message of solidarity within the system. Governor J.B. Pritzker says he wants to work to stabilize higher education - including Southern Illinois University - as quickly and efficiently as possible. The Graduate and Professional Student Council at SIU-Carbondale is trying to improve the experience for those seeking advanced degrees. GPSC President Clay Awsumb Wednesday presented an overview of findings from a 2018 survey of graduate and professional students. WSIU's Jennifer Fuller talks with SIU's John Jackson, who edited Southern Illinois University at 150 Years: Growth, Accomplishments, and Challenges. WSIU's Jennifer Fuller talks with Interim SIUC Chancellor John Dunn about the school's 150th Anniversary, along with the annual Day of Giving campaign. SIU's Department of Public Safety is investigating a sexual assault on the Carbondale campus. SIU Planning Day of Giving on March 6th, 2019. On this edition of WSIU InFocus, we visit with Rae Goldsmith, Interim Vice Chancellor for Development and Alumni Relations and Chief Communications and Marketing Officer for SIU. Governor J-B Pritzker is withdrawing the appointments of two members of the Southern Illinois University Board of Trustees. Marsha Ryan and Tom Britton - both selected by Pritzker's predecessor Bruce Rauner but never confirmed by the state Senate - are off the board as of Tuesday. Southern Illinois University Edwardsville has increased graduate student enrollment for the spring 2019 semester. Graduate enrollment grew ten percent to 177 students more than spring 2018 to reach its highest level in four years. As February marks Black History Month, Southern Illinois University leaders are taking a look at diversity. WSIU's Amelia Blakely explores this topic at the student, faculty and administrative level. For it's 41st year, the student-run film festival, The Big Muddy takes off next week. The festival showcases independent filmmakers from all over the world for a week, at no cost. President of the Big Muddy Crew Aster Arseneau says for the southern Illinois region, the festival is a cultural institution. "Well, I'm from Carbondale, and I feel this is a love letter to Carbondale from me since I'm leaving soon because it allows people to see films they wouldn't see anywhere else," Arseneau said. SIU Trustees have set tuition and fee rates for next year - with no increase for undergraduates or graduate students on the Carbondale campus. A proposal for a new nursing program at SIU Carbondale illustrated continued friction within the system Wednesday. SIU Trustees will take up tuition and fee proposals for next year when they meet in Edwardsville this week, and SIU Carbondale's leaders are asking for a zero-percent increase. WSIU's Jennifer Fuller talks with Interim SIUC Chancellor John Dunn. WSIU's Jennifer Fuller talks with SIUC Zoology's Andy Anderson and SIUC Plant Biology's Kurt Neubig about Darwin Week 2019. WSIU's Jennifer Fuller talks with SIUC International Student Council President Mayowa Olaoye and Vice President Yuki Soejima about International Festival 2019. 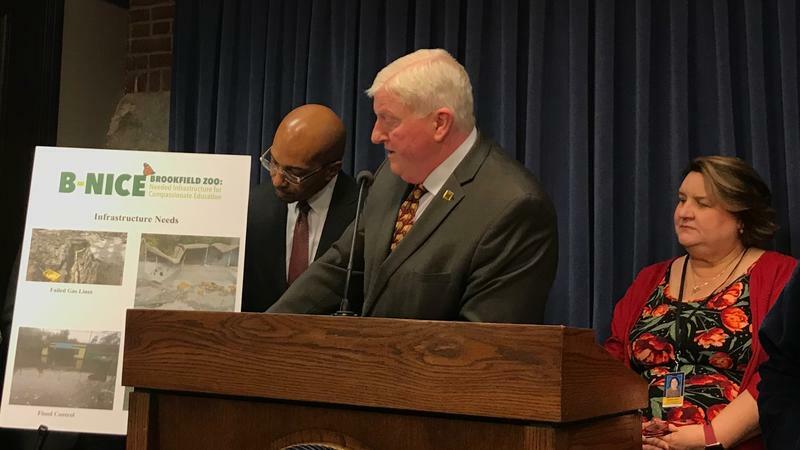 Among a slew of bills filed this week as the General Assembly opened its new session was a proposal to give $50 million to Southern Illinois University. The money would be used to build a public policy center in downtown Springfield. The spring enrollment at SIU-Carbondale aligns with fall semester numbers. Spokesperson Rae Goldsmith says official spring enrollment is down 11.63 percent from spring of 2018. The percentage is slightly better than the fall semester's decline of 11.96 percent from fall of 2017. A state lawmaker has proposed a plan to use state funds to build a new higher education center in downtown Springfield. 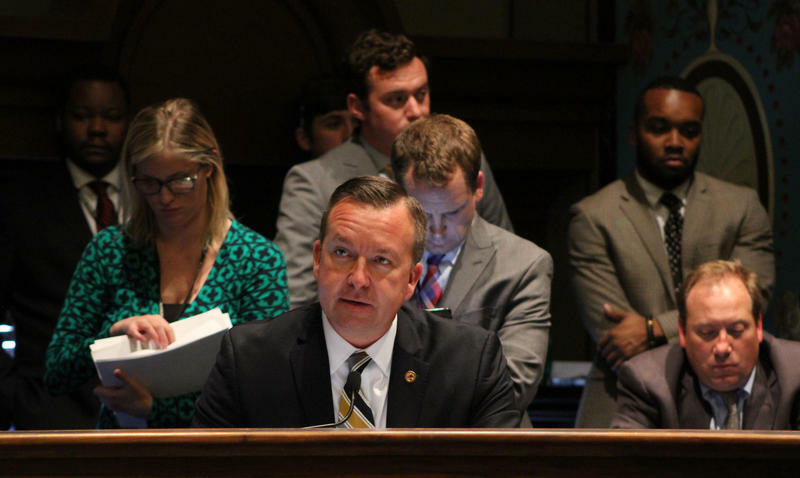 State Senator Andy Manar (D, Bunker Hill) introduced legislation on Wednesday that calls for $50 million to build a campus and public affairs center. The proposed building would sit within a mile of Southern Illinois University's existing medical school.